We aren’t big for blowing our own horn, but we received exciting news today, and thought that a little toot to share the news with our readers would be OK.
It’s difficult to know where to start, but we’re surprised, shocked, happy, and incredibly honored. Like most WordPress bloggers, we routinely read Freshly Pressed blogs to see how critically acclaimed bloggers compose successful posts. We’ve learned a good deal from other bloggers and made changes in our style to improve. Still, given the numbers of posts published each day (500,000), we never dreamed one of ours would be picked for this honor. 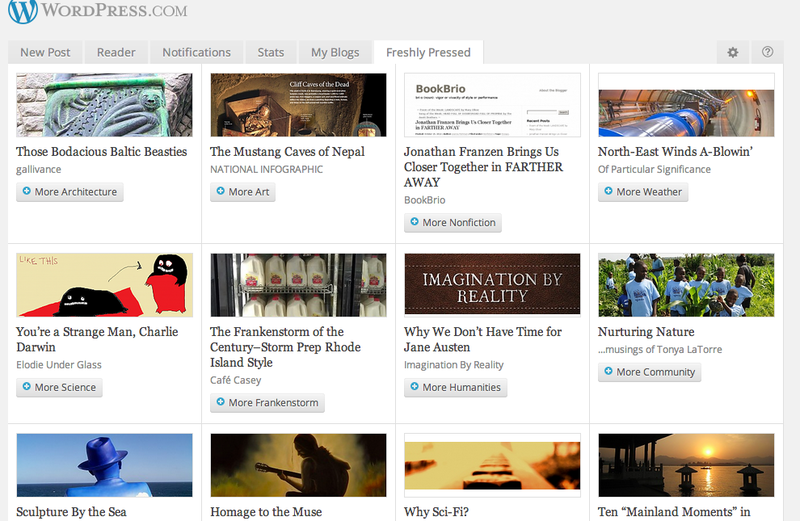 As most of you know, we’ve been blogging for over a year, and have written more than 250 posts. Initially, we started the blog to document our RTW trip, communicate with friends and family, and give our readers, old and new, a bit more insight into our wandering lifestyle. So if you’re new here, this is the perfect place to start. The blog has achieved all our objectives while providing a fun, entertaining and rewarding outlet for both of us. We want to thank all our loyal readers who’ve hung in there with us from the beginning, as well as the new folks who joined along the way. We’d also like to thank the WordPress Editors, particularly Cheri Lucas, for picking our post, and for the honor of being Freshly Pressed. Tags: Animals, Architecture, Art Nouveau, Baltic States, Baltics, Cheri Lucas, Freshly Pressed, Those Bodacious Baltic Beasties, travel, Wordpress. Bookmark the permalink. Previous post ← Freaky Fruit in Helsinki!